Each season, select world-class guest artists performing with the Huntsville Symphony Orchestra are invited to present master classes for the benefit of area music students. These events are open to the public, FREE of charge. They provide the rare opportunity for students to work with masters of the musical craft, and for observers to enjoy high-quality student performances and ‘open lessons’ with the artists. They are highlights of our concert season, and we’d love to have you join us for the experience! Canadian pianist Katherine Chi has performed throughout Europe and North America to great acclaim. Her “keen musical intelligence and powerful arsenal of technique” have been noted by the New York Times. Her interpretations of Mozart are highly regarded, as are her performances of large Romantic-Era and twentieth-century works. She has appeared with major orchestras internationally and is a regular at top festivals including Aldeburgh, Banff, Launadière, and Marlboro. Accepted to the Curtis Institute of Music at age ten, Katherine Chi later received advanced degrees from the New England Conservatory. She was a prizewinner in the 1998 Busoni International Competition, and in 2000 became the first Canadian and the first woman to win first prize in the Honens International Piano Competition. She has recorded for the Arktos and Honens labels. 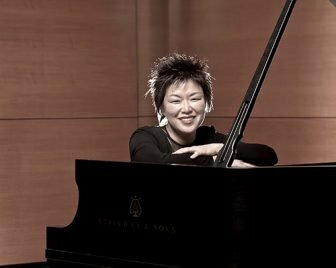 Katherine Chi returns to Huntsville to perform the Shostakovich Piano Concerto No. 2 with conductor Gregory Vajda and the Huntsville Symphony Orchestra on Friday, October 19, 2018, at 7:30 p.m. in the Mark C. Smith Concert Hall of the Von Braun Center. Alabama-born Susanna Phillips, recipient of the Metropolitan Opera’s 2010 Beverly Sills Artist Award, continues to establish herself as one of today’s most sought-after singing actors and recitalists. In the 2018-19 season, Ms. Phillips returns to the Metropolitan Opera for an eleventh consecutive season to sing her acclaimed Musetta in Puccini’s La bohème. She makes role debuts as Micaela in Carmen and Donna Elvira in Don Giovanni with the Metropolitan Opera. With Cincinnati Opera, Ms. Phillips sings the role of Countess Almaviva in Le Nozze di Figaro. Ms. Phillips will perform and record Berg’s Sieben Frühe Lieder with the San Francisco Symphony, led by Michael Tilson Thomas, and will sing Mahler’s Fourth Symphony at La Jolla Music Society’s SummerFest. Ms. Phillips will celebrate the bicentennial of Alabama with her native Huntsville Symphony Orchestra, performing Strauss’s Vier Letzte Lieder. This summer’s highlights include a recital with Lincoln Center’s Mostly Mozart Festival, and the 10thAnniversary of chamber music with Twickenham Fest, of which she is a co-founder. Principal Bassoon of the Rochester Philharmonic Orchestra, Matthew McDonald has also served as Principal Bassoon of the Louisiana Philharmonic and ProMusica Chamber Orchestras. He has performed as soloist with the Huntsville Symphony Orchestra, the Curtis Symphony Orchestra, Shepherd School Chamber Orchestra, and the Cleveland Orchestra, as well as the International Double Reed Society conference. He has appeared with festival orchestras such as those at Schleswig-Holstein and Tanglewood, and is a co-founder of Huntsville’s Twickenham Fest chamber music series. 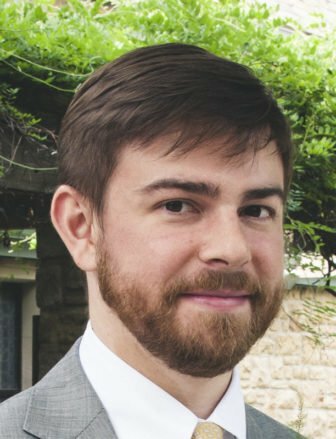 Born in Huntsville, Matthew began his studies with Hunter Thomas and was later a student of Benjamin Kamins, Barrick Stees, Bernard Garfield, and Daniel Matsukawa. He is a graduate of the Young Artist Program at the Cleveland Institute of Music and of the Curtis Institute of Music. Performers are selected by audition and/or recommendation. However, these events are free and open for observation to the public. If you have any questions regarding these events, please contact the Director of Education, Sharon Hicks, by email at sharon@hso.org or by phone at 256-539-4818.